Dans sa façon de représenter à l'écran la perte cognitive et l'assaut de la maladie sur un couple soudé, Paolo Virzi est parvenu à toucher quelque chose d'authentiquement humain. 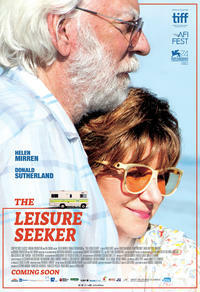 Donald Sutherland and Helen Mirren do what they can to keep this go-gently-into-the-night drama steady. What is painfully obvious, though, is his use of on-the-nose musical selections to accompany the couple's journey. Italian director Paolo Virzi delivers a bittersweet ode to things that are slipping away for people and for a country.